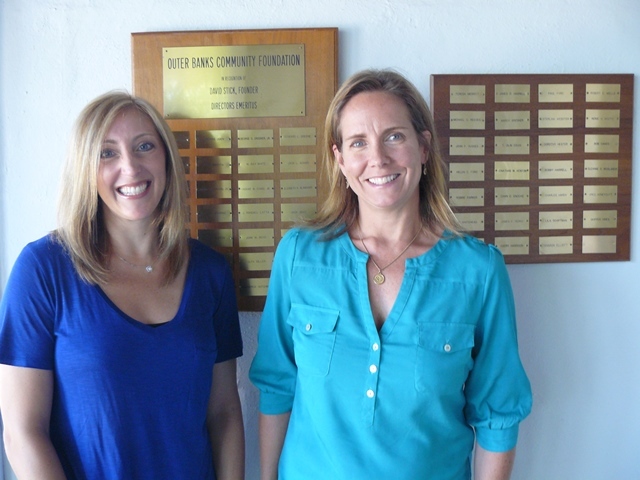 The Board of Directors of the Outer Banks Community Foundation has named two new individuals into the honored ranks of Emeritus Director. Sharon Elliott (left) served as a volunteer on the Community Foundation’s board from 2009 to 2015, including two years as the organization’s Treasurer and two years as President. Avery Harrison (right) served on the board from 2011 to 2015, including two years as Secretary and three years as the organization’s Scholarship Chair. The Board of Community Foundation is profoundly grateful for the dedication, wisdom, and expertise these extraordinary women lent to the organization.